Today, the Congo Research Group (CRG) at New York University is releasing a new report on the Allied Democratic Forces (ADF) rebellion, based in Beni territory in the northeastern Democratic Republic of the Congo. The report can be downloaded in English and in French, and a site dedicated to the report and featuring the videos can be accessed here. 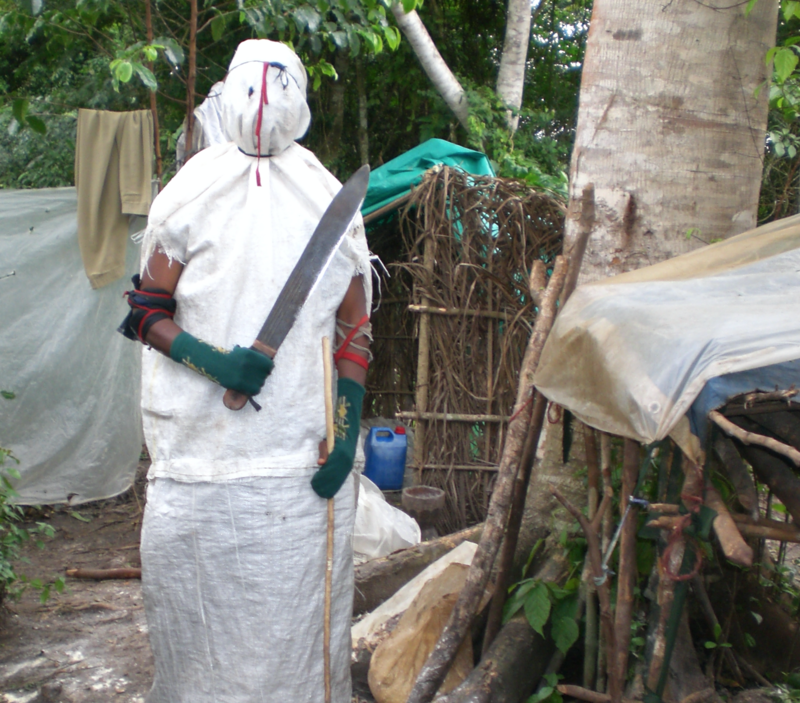 Beni territory has suffered from some of the most brutal violence in the country’s recent history. However, the massacres around Beni, which began in October 2014 and have killed more than 1,000 people, have been shrouded in mystery. No group has officially claimed responsibility for the killings; research by Congo Research Group and the UN Group of Experts suggests that many actors, including the Congolese government, have been involved. The ADF rebellion has been an important player in this violence. Since the late 1990s, the group has carried out brutal massacres, kidnappings, and lootings in the area, often in collaboration with other local militias and leaders, and is one of the deadliest armed groups in the Kivus. Given the lack of prominent defections, its strict internal discipline, and lack of public communications, it has been difficult to understand its motives, internal structure, and bases of support. This report provides a rare glimpse into the organization. Between 2016 and 2017, a member of the ADF posted at least 35 videos on private social media channels––Telegram, Facebook, and YouTube. Based on events either mentioned or carried out within the videos, we can infer that they were probably recorded some time during 2016 and 2017. The videos portray ADF attacks, medical care for their wounded, martial arts exhibitions, indoctrination of children, and propaganda messages. The group has been making a tentative attempt to align itself with other jihadist groups, calling itself Madina at Tauheed Wau Mujahedeen (MTM, “The city of monotheism and holy warriors,”) presenting a flag similar to that used by Al-Shabaab, Al-Qaeda, ISIS, and Boko Haram, and placing a strong emphasis on a radical, violent interpretation of the Quran. The recent arrest of a Kenyan ISIS financial facilitator illuminated the first concrete linkages between the ADF and other jihadi groups via bank transactions. While the senior leadership of the ADF appears still to be dominated by Ugandans––none of whom appear in the videos––the propaganda in the videos is aimed at a much broader East African audience, employing Kiswahili, Luganda, Arabic, French, and Kinyarwanda. Kiswahili––Congolese and Tanzanian dialects––,the most widely spoken language in the region, is by far the most prevalent in the videos, and there are two Burundians also featured. The ADF appears to be attempting to rebrand itself as the organization faces military pressure and a leadership change. While radical interpretations of Islam have long existing within the ADF, combatants in these videos more brazenly encourage and banalize violence against “infidels,” civilians and soldiers alike, and call on their colleagues to become martyrs for their cause. It is important to highlight that both the Ugandan and Congolese government have used the presence the Islamist threat politically to their advantage in the past, and many other actors around Beni have been involved in the violence there. Finding a solution for the violence around Beni will entail dealing with its complexity. As laid out in previous CRG reports, targeted and responsible military operations against the various armed groups in the area are part of this. But, given how interwoven the ADF is with other, local armed groups, this will also require rendering local administration and security services more accountable, dismantling networks of smuggling and racketeering, and targeting the regional recruitment and support networks of the ADF.